Brazil the largest country in South America - and for some years now, the 5th largest wine producer in the Southern Hemisphere, has been making wine since its colonisation, but it was the arrival of Italian immigrants in 1875, that gave meaning to winemaking. Though over the past 10-15 years, the Brazilian wine industry has made a tremendous investment in technological innovation and vineyard management. 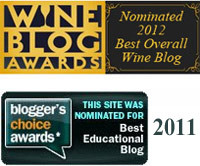 Resulting in excellent wines recognized with over 2000 international wine awards worldwide. Brazilian wine regions total approx 84,000 hectares; with over 1100 wineries around the country, mostly made up of small farms - averaging some 2ha per family. 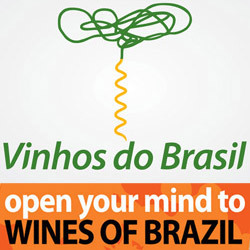 Brazil is now capable of producing fresh, fruity, balanced wines and with moderate alcohol levels. 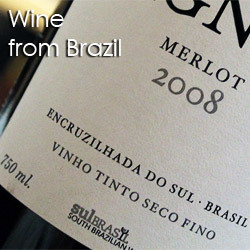 In the global scene, Brazilian bottled wine production has recently achieved 13th place as of 2011. While Brazil has a relatively large number of vineyards, a significant portion of them produce table grapes, with only a few producing Brazilian bottled wine. As much of Brazil is close to the equator, much of the country is unsuitable for viticulture, due to too much heat and humidity. Most of the wine production of Brazil is concentrated in the south of the country, away from the equator, in the state of ‘Rio Grande do Sul’, which is close to Uruguay and Argentina. In this area, many of the vineyards are also located in cooler, elevated and hilly sites, with a large extent planted in the Serra Gaúcha region. Over the centuries European vines have been introduced into Brazil on several occasions with limited success. The first vines were brought by the Portuguese in 1532, who planted them in the state São Paulo. Jesuits brought Spanish vines to ‘Rio Grande do Sul’ in 1626, and 18th century settlers from the Azores brought vine cuttings from Madeira. 1840 plantations of Isabella vines on the south coast of Rio Grande are considered the first successful vineyards in Brazil. By the late 1870s, winemaking was more established and had taken hold in Serra Gaúcha, where Italian immigrants did much of the vine-growing, and mostly American vines were produced, with Italian varieties and French added later. Wine production of higher quality in Brazil started in the 1970s, when several international wine companies began investing and bringing knowledge and modern equipment. Serra Gaúcha is home to 90% of Brazilian wineries and is located north-east of Porto Alegre (the capital and largest city in the Brazilian state of Rio Grande do Sul) in the mountainous region - where the climate is subtropical with mild and humid summers and vines concentrated between an altitude of 400-600m. The wide valley of ‘Vale del Rio dos Antas’ is divided into five winegrowing areas of which Vale dos Vinhedos is the most recognised - with the vineyards located on gentle slopes between 450-650m. Vale dos Vinhedos was the first Brazilian region to receive the ‘Geographic Origin’ certification that was established in 2001. Campanha / Fronteira is one of the new wine regions of Brazil, located in the Pampas lands that border Uruguay in the south of Rio Grande do Sul. 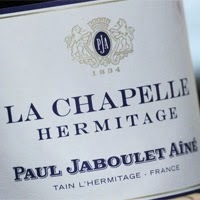 The region has a mild climate with warm, dry summers, with vines planted near 300m above sea level. Campos de Cima da Serra is a new wine region, at quite high altitudes of some 1000m, in Rio Grande do Sul. Vale do São Francisco is located at latitude 9°-10° south, which is the closest wine region in the world to the equator. The region is sub-tropical and irrigation from the São Francisco River is essential for vine health. The valley is a semi-arid savannah with vines typically planted at an altitude of 350m. It must be noted that table grapes still make up 80% of Brazil’s grape cultivation; all the vineyards planted in the last decade now grow European grape varieties with a primary focus on French varietals and then Italian styles. 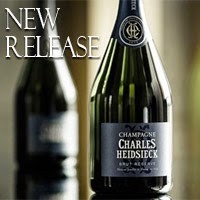 The sparkling wines still lead production and are well recognised, then Cabernet Francs, Cabernet Sauvignon and Tannat, Cabernet Franc and Malbec blends and more recently some Chardonnay’s are developing character.